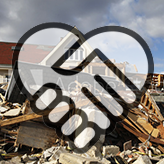 There are many groups and organizations that answer the call to these disaster victims who would otherwise be left helpless. 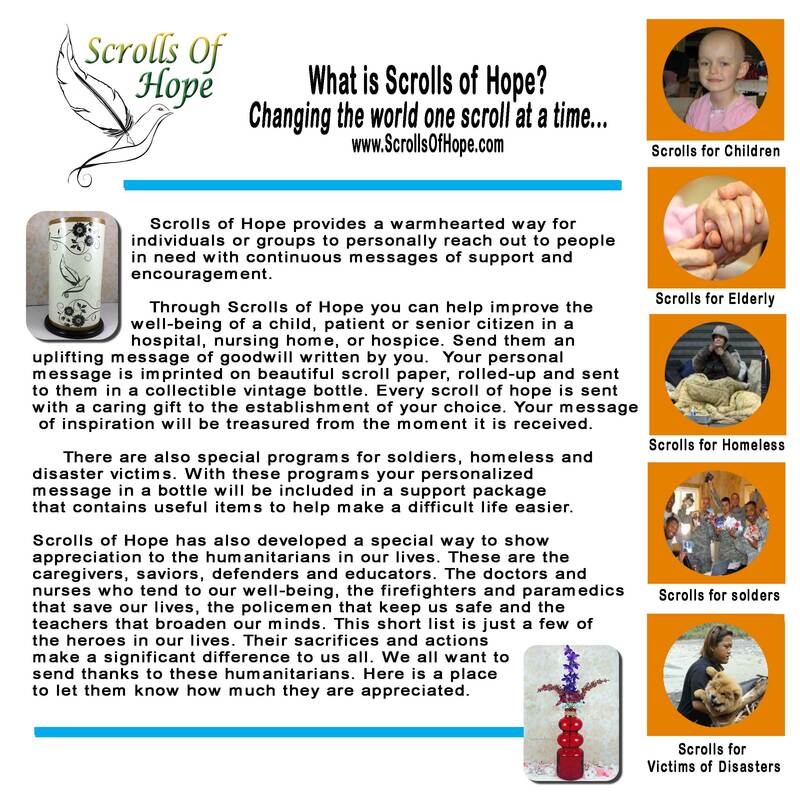 Scrolls of Hope has recognized the need to join in to help these people in their time of need. 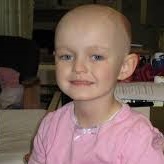 We have created a program were you can help us send gifts of hope. 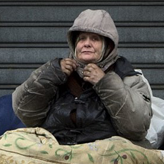 Please consider how your donation of a dollar or more towards this program will help others recover there lives. 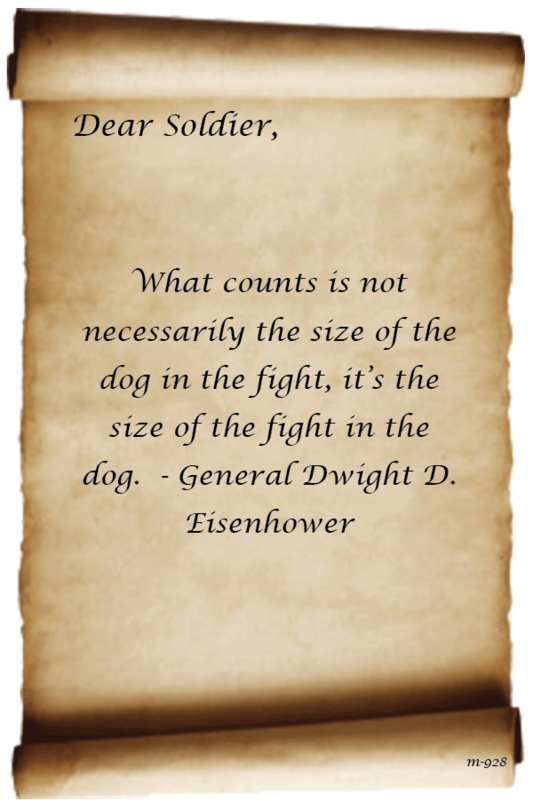 Anyone can send a Scroll of Hope to a soldier to uplift their morale. events to pool their resources together to send soldiers messages to raise their spirits. 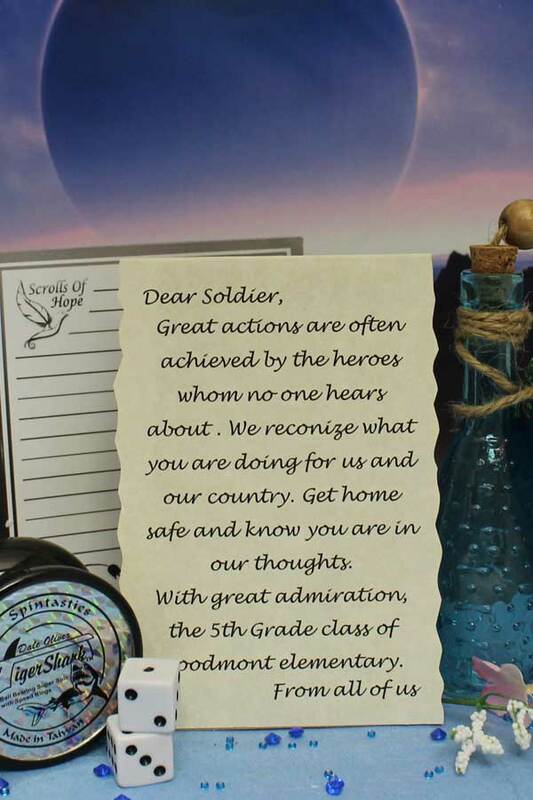 Take a moment and think about how your words will make a difference in a soldier's life. 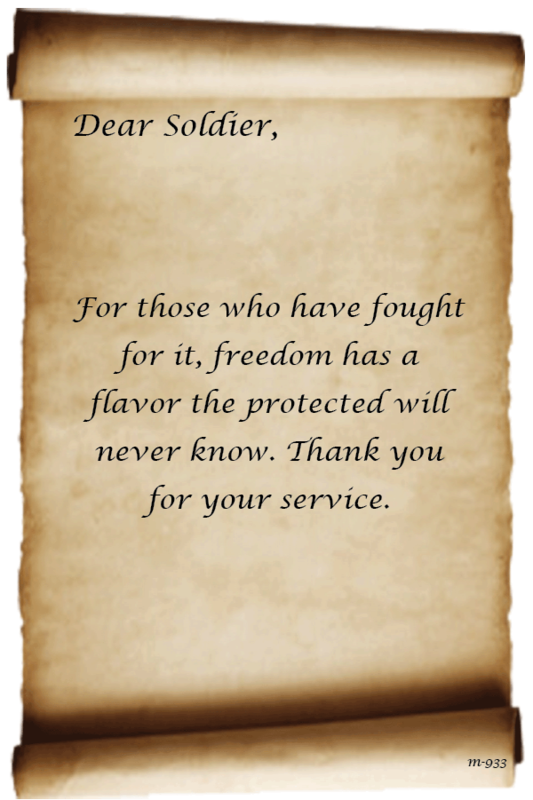 These few words from you could prove essential in changing the soldier's outlook and is what makes Scrolls of Hope so unique. 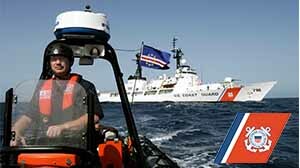 There are a few guidelines in working with our affiliates in exactly what is written. 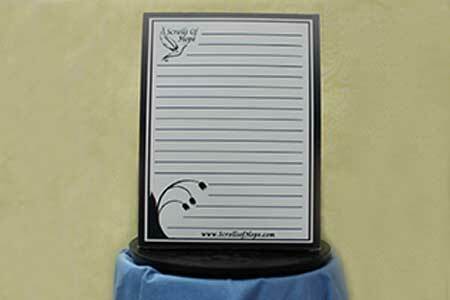 You may want to look through our collection of thoughtful notes for inspiration, which meet these guidelines, as you write your personalized messages. 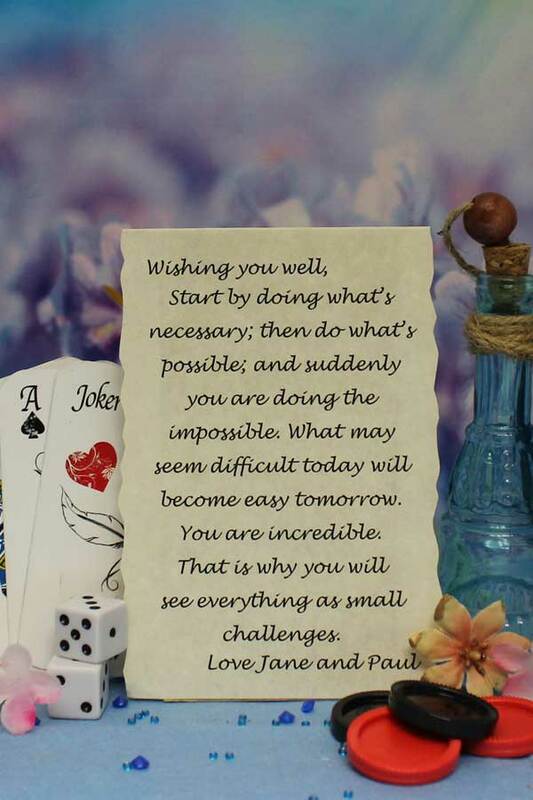 All our pre-written messages are editable once you select one as a starting point. There is also an option to include a photo or image on your scroll. 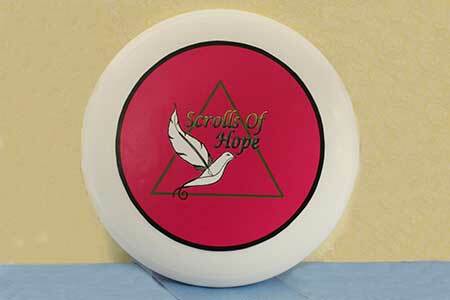 You can also send a Scroll of Hope to a soldier you know. 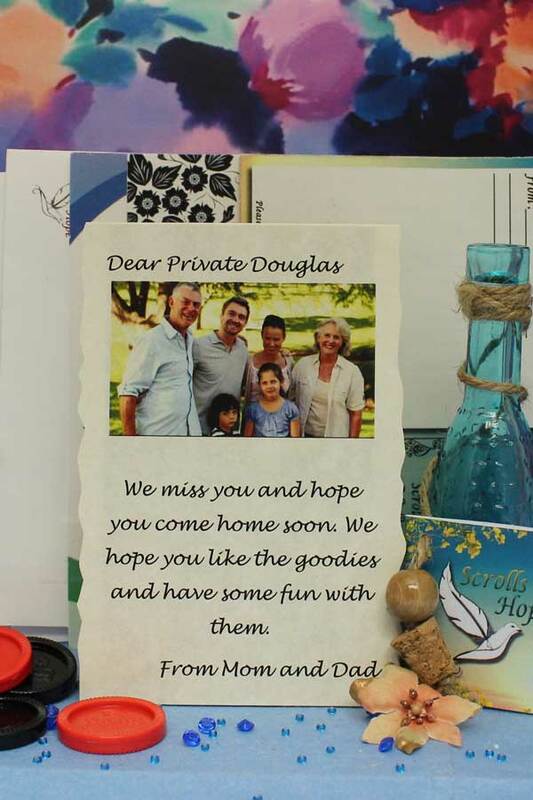 Upon writing your message there will be an option to send it to a friend or family member in the military. A soldier is a guardian of freedom, of the rights of people, and the American way of life. 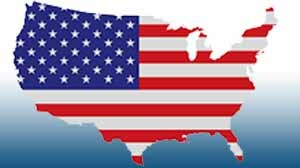 The American way is freedom, and other things we take for granted that are not guaranteed to everyone in the world. 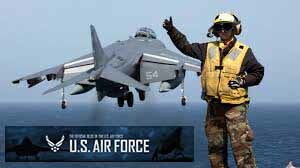 An American Soldier is not serving our country for the accolades or because they want life to be adventurous or more fulfilling. American Soldiers protect you from injustice and from tyranny. 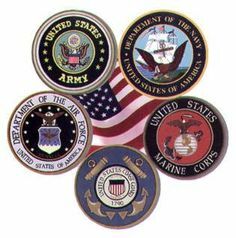 And no matter how much we may dislike war or politics, they are here just to protect us and our rights to live with freedom and liberty. They protect the right for us to say what we will. We still have these rights and freedoms today because we have American Soldiers. 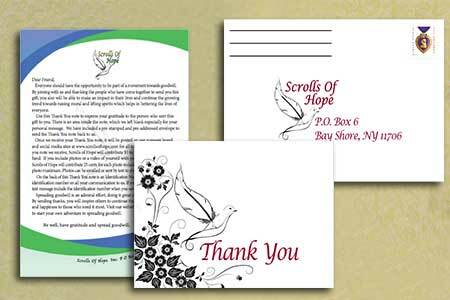 After you write your message, you can choose from three options for morale packages. One is the soldier basic morale package. The next is the standard morale package. The final package is the deluxe morale package. Soldiers often come across displaced pets. 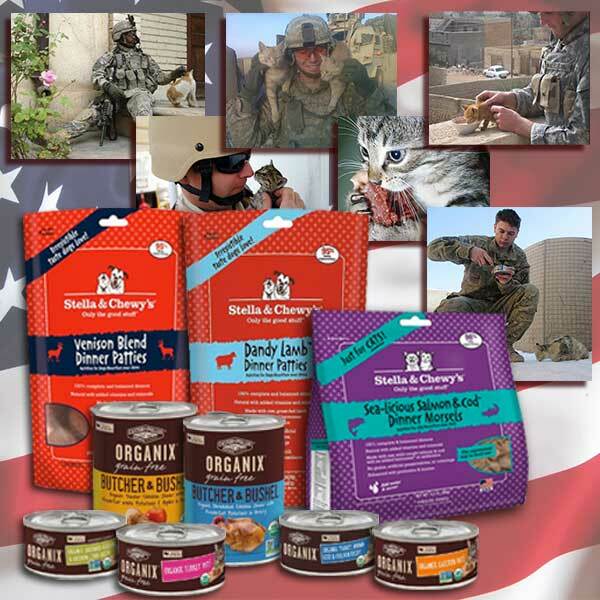 Scrolls of Hope has formulated a healthy canine and feline rations which will give a soldier a way to help these lost animals. You can choose to send this with your morale package as an add-on option. 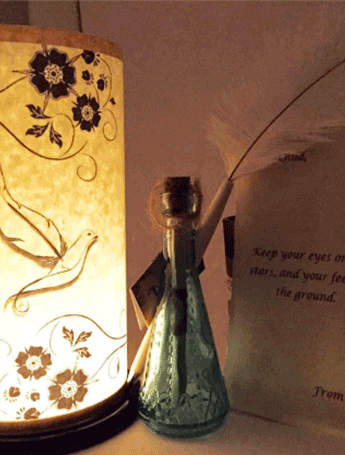 Each soldier will receive a personalized message from you in a vintage bottle and a morale package. The packages include various items such as; a frisbee, hacky sack ball, chess or checkers, game books, hand puzzles, playing cards and a few personal hygiene items. Soldiers receive all kinds of great care packages. 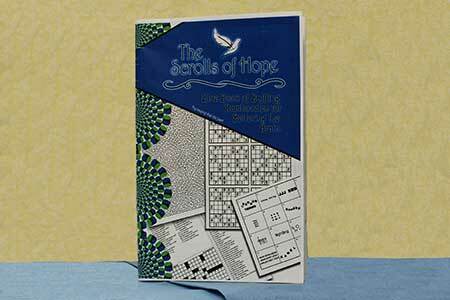 The Scrolls of Hope package is designed to raise a soldier’s spirit, while they are away from home with a little fun and recreation. The items in the package can be shared or passed along to one another or to the local civilians. In times of war, children are often in a state of hardship. 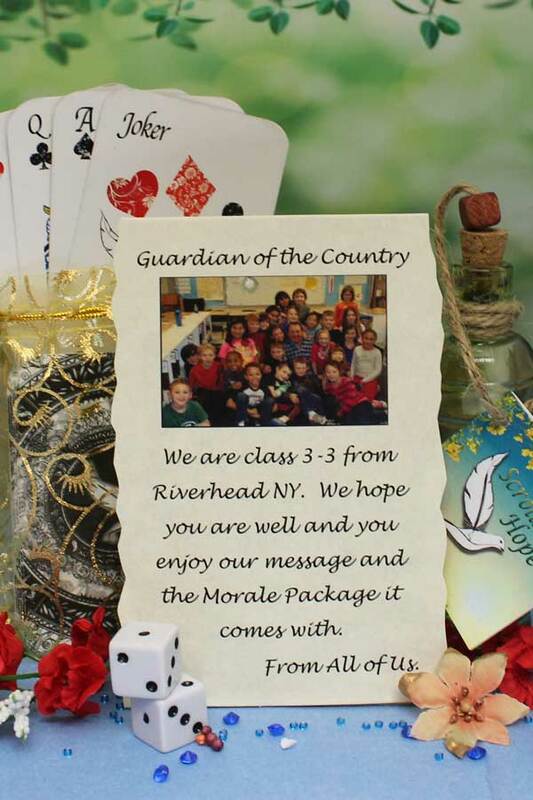 Every morale package includes a gift to pass along to the local children. All the morale package items are light and portable. 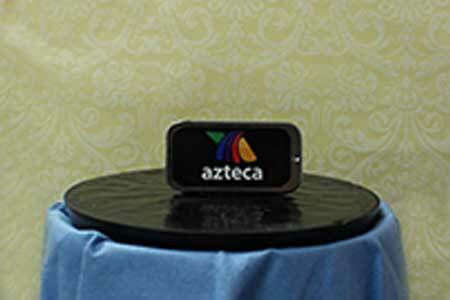 As you finalize your package there is also something special that can be added on for displaced pets. 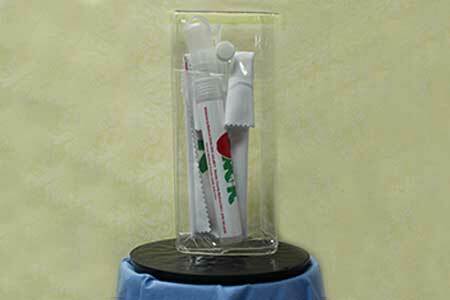 The Soldier Basic Morale Package contains a basic hygiene kit as well as several useful items. It also includes several different games that will give a soldier and his friend something recreational activities. Alone or with a group, game play creates unity and a tight team. There is a little teddy bear to be handed out to the local children along with any other items in the package. There is an add-on feature of Displaced Domestic Animals Rations that can be given to local stray animals in distressed areas. 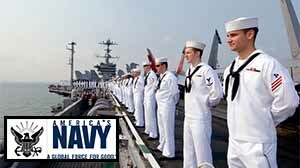 Morale: A person’s confidence, cheerfulness, discipline, and willingness to perform assigned tasks. Sometimes morale is in short supply in our busy lives. Imagine a soldier’s life. Everyday working non-stop, not being able to see family when they want to, morale is all a soldier has sometimes to keep on going. 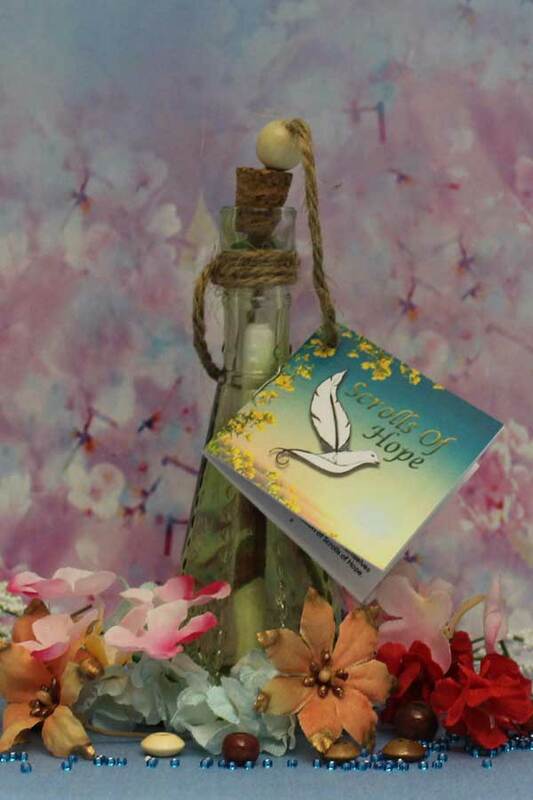 A message of inspiration directly from you, with a great morale-lifting package will surely give a boost in spirits. 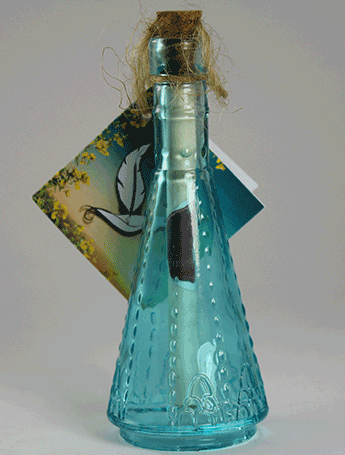 Spirits will rise amongst the entire base as this package is designed to be shared with everyone. This is a unique way to tell a soldier you are proud and to keep doing what they do best. High morale will increase the aptitude of a soldier by keeping them focused. 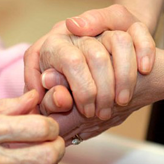 Our goal is to get soldiers back to their families and friends. This pack of tissues comes in handy when out in the world without the basic toiletries. Its many multiple uses span from basic hygiene to cleaning an injury. 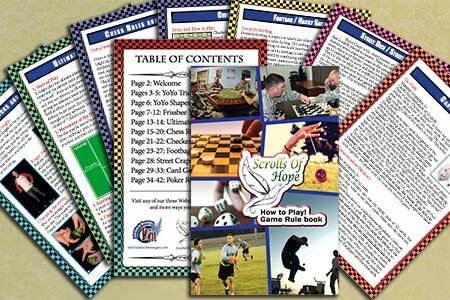 The morale packages comes with an informative instruction booklet for all the games sent. 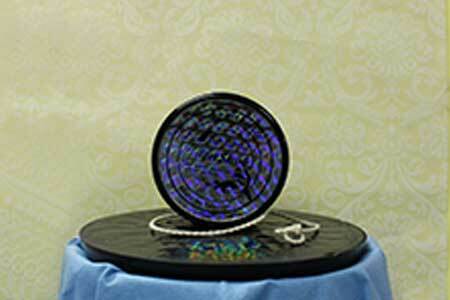 Chess, Frisbee, Yo-Yos and much more, it provides old and new twists on how to play. 25 sheet pad, 5 envelopes, pen, pencil & sharpener. It's very handy when away from home. 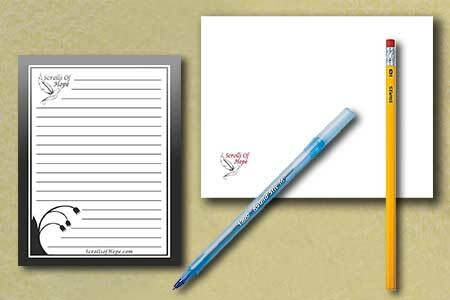 It is convenient to take a quick note or send a message. A friendly little plushy that can be kept or passed along to another. 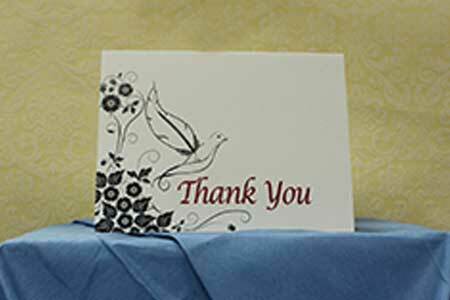 Recipients are given an opportunity to express their gratitude through our site. This thoughtful display encourages the trend of goodwill. 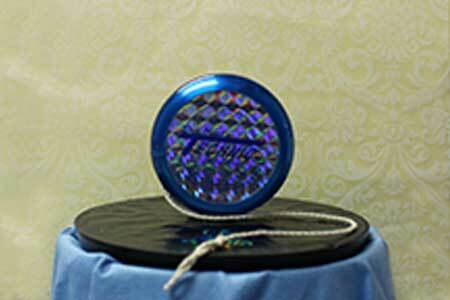 An oldie but goody, this is a great yo-yo that will provide many hours of tricks and feats. 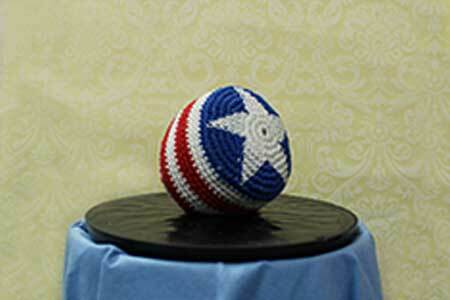 A hacky-sack is the ultimate portable sport. The game requires sportsmanship and teamwork. It is a lot of fun keeping the little boot bag in the air. : This yo-yo is a bit more advanced and with the tricks we included in the rule book this one can be handled with grace & ease. 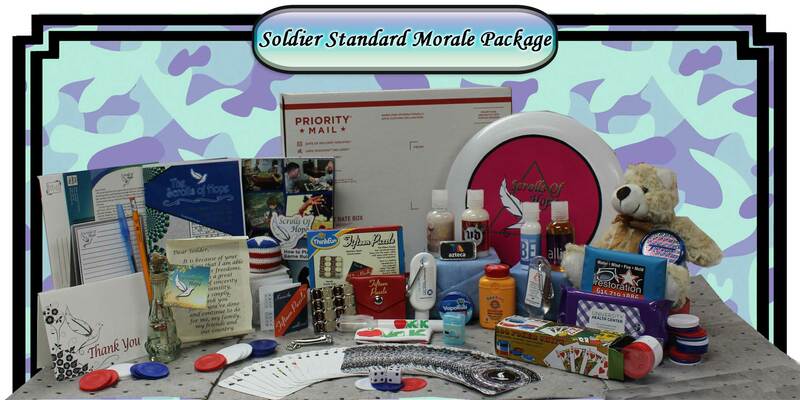 The Soldier Standard Morale Package contents include everything from the basic package with the addition of a Yo-yo, Frisbee, hacky-sack and a set of poker chips for a greater range of gaming capabilities with their pals. Playing together creates unity and a tight team. There is a little teddy bear to be handed out to the local children along with any other items in the package. There is an add-on feature of Displaced Domestic Animals Rations that can be given to local stray animals in distressed areas. 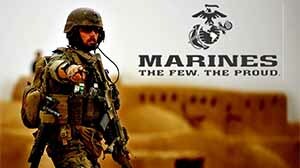 Morale: A person’s confidence, cheerfulness, discipline, and willingness to perform assigned tasks. Sometimes morale is in short supply in our busy lives. Imagine a soldier’s life. Everyday working non-stop, not being able to see family when they want to. Morale is all a soldier has sometimes to keep on going. 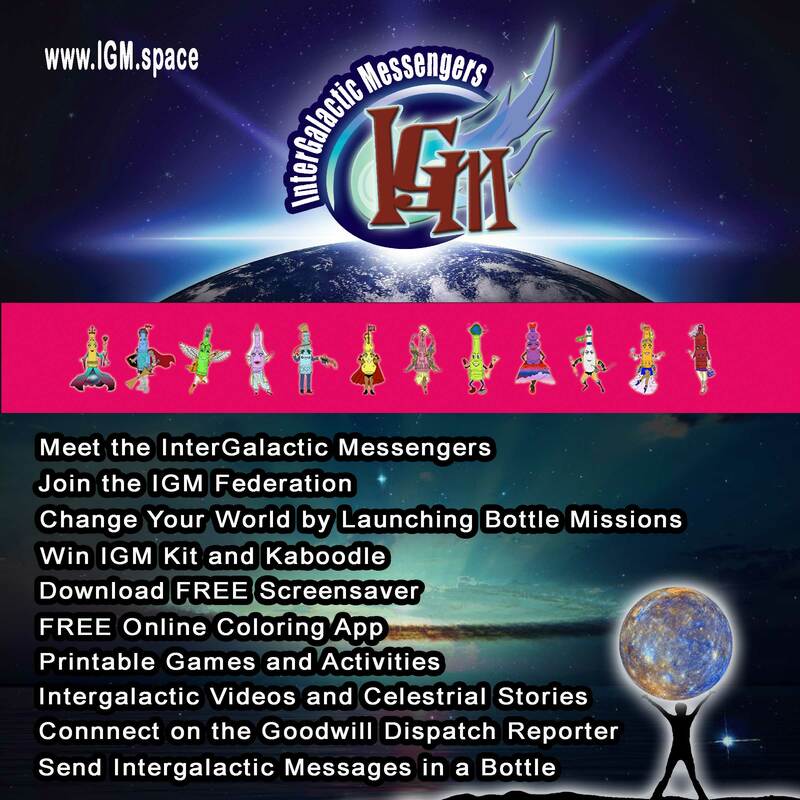 A message of inspiration directly from you, with a great morale-lifting package will surely give a boost in spirits. Spirits will rise amongst the entire base as this package is designed to be shared with everyone. This is a unique way to tell a soldier you are proud and to keep doing what they do best. High morale will increase the aptitude of a soldier by keeping them focused. 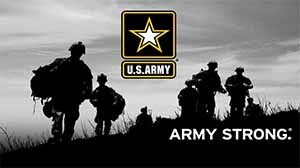 Our goal is to get soldiers back to their families and friends. 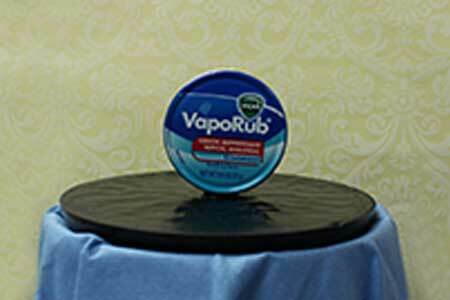 Vicks is an old home remedy for many ailments. It brings relief to congestion and soothes soar muscles just to name a few. 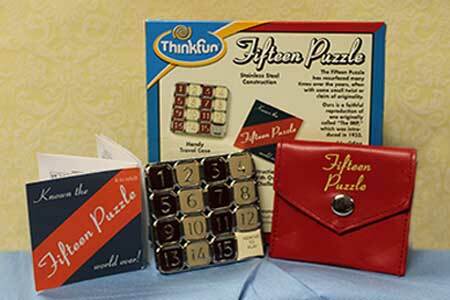 Created to challenge the mind with brain teasing and thought provoking games and surprises, it offers a variety of entertaining puzzles for all ages. Handy for quick clean ups. 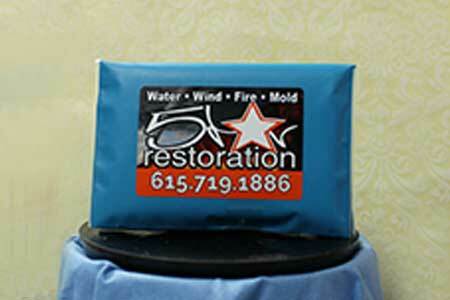 These can be used hygienically or to wipe one's face and hands when water is unavailable. This specific powder is great for relieving and preventing skin irritation. It is especially helpful in very hot conditions. Our dice set is portable and fun. 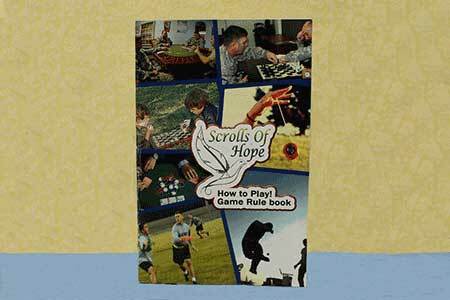 The game book has a bunch of fun games to play. Included is a fifty-sheet score pad for each of the games in the book. One of the best on the market, this 175 gram Ultimate Wham-o Frisbee along with the game book guarantees hours of fun and entertainment. 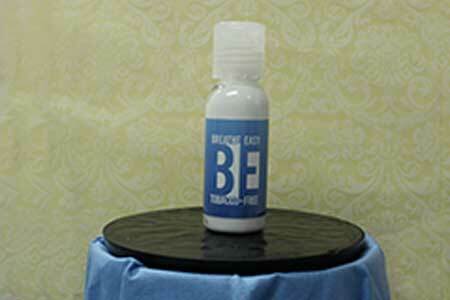 This basic item can boost a person’s spirits and can also serve as a quick body wash when soap is unavailable. A luxury and uplifting for anyone that wants to keep their hair free of tangles and feeling fresh. 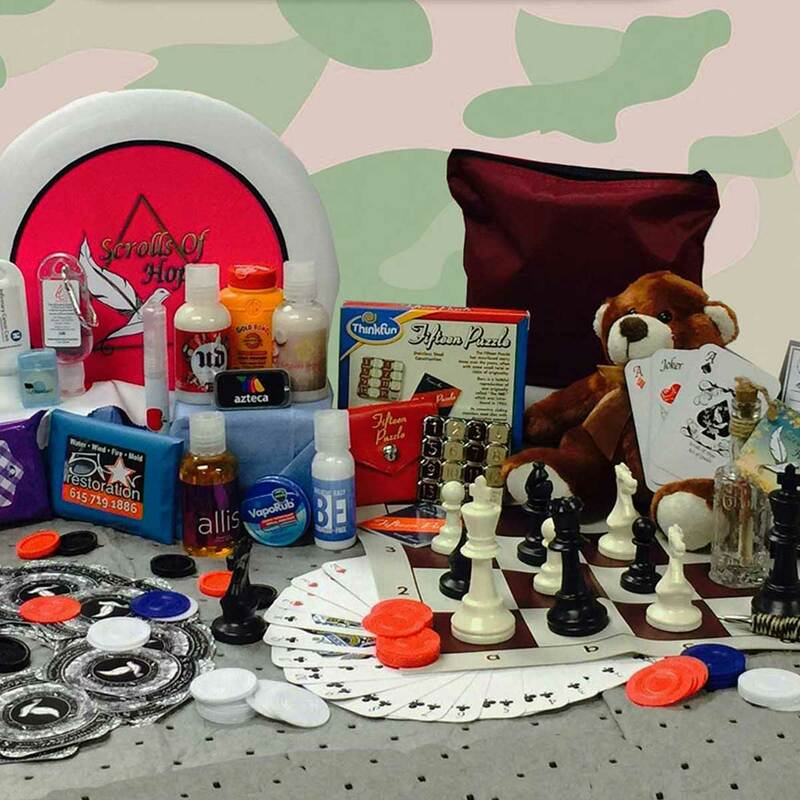 The Soldier Deluxe Morale Package contents include everything included in the standard package with the addition of an additional different Yo-Yo and a Club Chess/Checker set w/case. 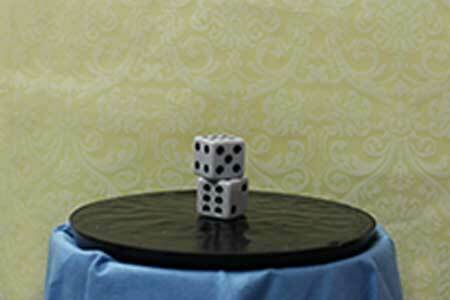 Checkers and Chess are great strategy games in which competitions can be setup. Playing together creates unity and a tight team. 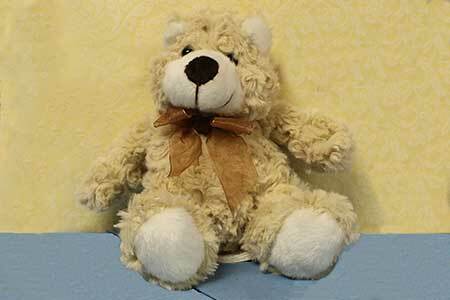 There is a little teddy bear to be handed out to the local children along with any other items in the package. There is an add-on feature of Displaced Domestic Animals Rations that can be given to local stray animals in distressed areas. Flossing teeth between meals prevent plaque build-up. 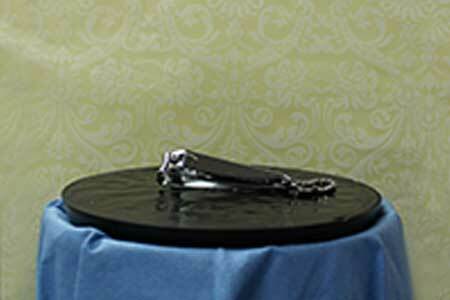 This handy item can also be used to tie things up or hold them down. When exposed regularly to the harsh elements of weather, lip balm helps relieve or prevent chapped lips, which could lead to additional ailments. 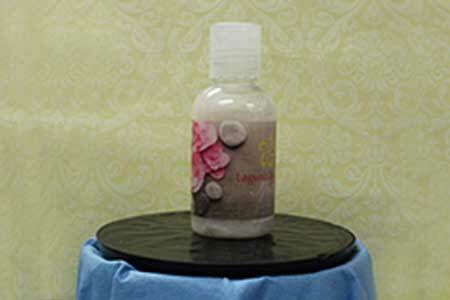 Lotion will eliminate chapped skin and provide healthy skin. The lotion will help prevent further damage and discomfort. 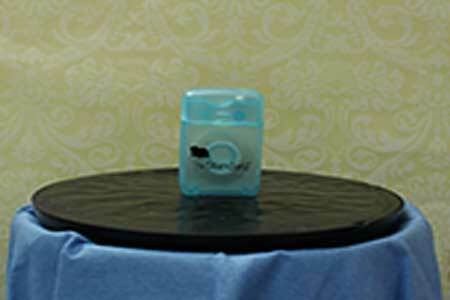 When soap and water are out of reach, hand sanitizer removes the concern of germs and ensures your hands are clean. 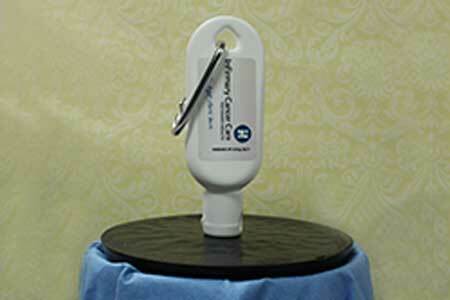 The lens cleaner is handy to clean eyeglasses as well as other glass delicate surfaces. 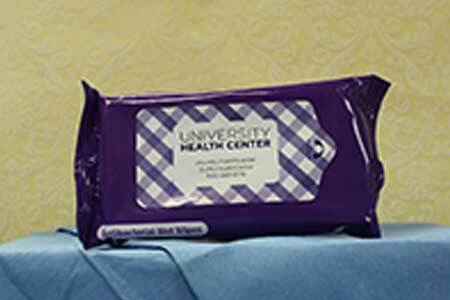 It comes with a scratch free wipe and case to keep it clean and safe. 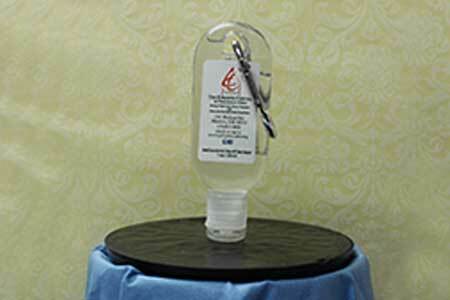 This is a high demand and necessary item, keeping your nails trimmed and neat. This leads to a healthy, hygienic life. This convenient bottle is an easy way to carry an item as quintessential as soap. It comes in handy when basic facilities are not available. 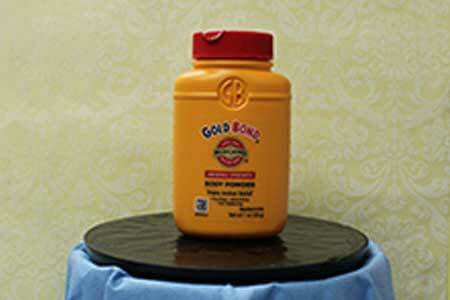 The sun can be very harsh to the skin This helps prevent damage and sunburn. Too much cannot be said about unprotected sun exposure. Displaced pets in distressed areas are often overlooked. A simple animal ration can make the difference for their survival. 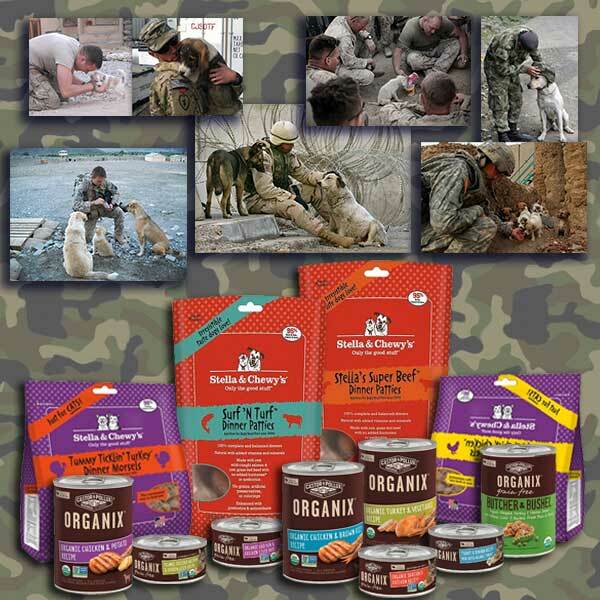 Soldiers often share their food with local stray animals. Being able to help an animal in need raises the morale of a soldier. All soldier packages are thought out and packed with entertainment filled items for everyone. 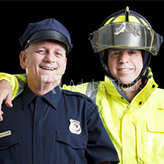 With the concept of raising morale, it is important to consider the entire group. The games are interactive giving troops an opportunity to tighten bonds. These bonds are quintessential for uniting soldiers and our armed forces. All of the Soldier packages are assembled and packed with activities to keep the spirits high around military bases abroad. 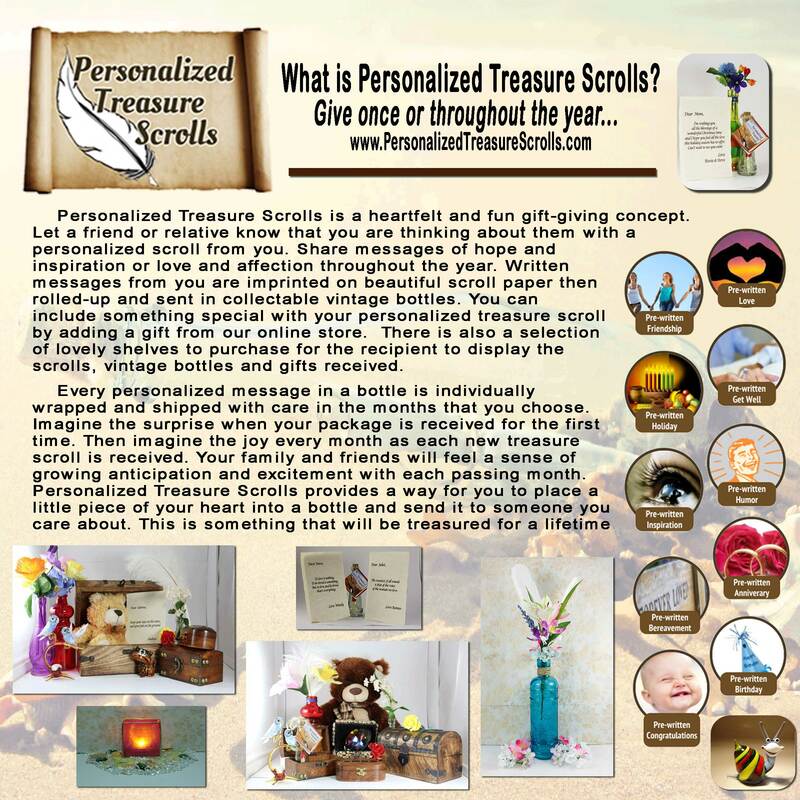 There are a few bonus features coupled with your personal written message in a bottle, which makes the package unique. This set is great for many hours of intricate gaming that challenges the mind to conjure a proper strategy. The game is accessible & portable. Best quality game available. 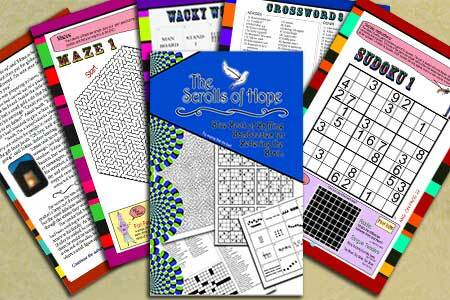 It includes a booklet with a variety of fun challenges. This brainteaser provides many hours of mind provoking fun. Along with a note of encouragement, together we can create some enjoyable quiet time. Soldiers can team up and do something fun and social to make a pleasurable moment when given the chance. This unique deck of cards will provide many games to pass the time. 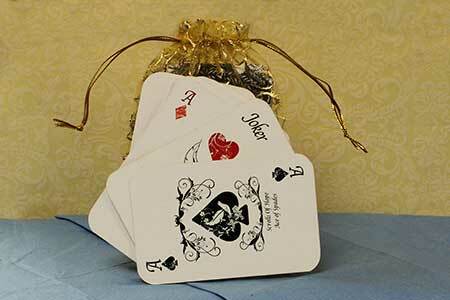 Whether playing solitaire, go fish or poker these cards are the best. Poker, the old American card playing pass time. 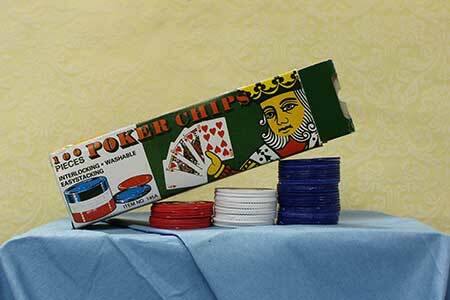 A good game of poker requires some chips getting passed around the table.